Mathematical biology has for a long time investigated the dynamics of biomolecular systems by developing numerical models involving (highly non-linear) differential equations and using tools such as Bifurcation Theory for estimating parameters . 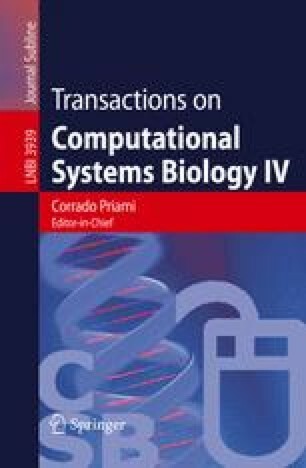 Mathematical biology provides a firm ground for the numerical analysis of biological systems. However, state-of-the-art quantitative models can hardly be re-used and composed with other models in a systematic fashion, and are limited to a few tenths of variables .